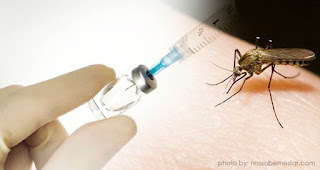 In an update on the first of its kind immunization program with the newly approved dengue vaccine, Dengvaxia, Philippines health officials (DOH) provided the following update Monday. The Dengue School-Based Immunization program that commenced on Apr. 4 continues on and at the three week mark, a total of 204, 397 (73%) pupils were vaccinated out of 279,393 pupils with parents’ consent. As of April 24, 2016 a total of 362 cases of Adverse Event Following Immunization (AEFI) from the three regions where the Dengue School Based Immunization Program were received. The top five common reactions were fever, headache, dizziness, vomiting, and rash. The DOH established a strict monitoring and surveillance system for adverse events and side effects following immunization. The patient is claimed to have been diagnosed to have congenital heart disease during his childhood. No maintenance medication was taken since his transfer to his current guardians. During immunization of dengue vaccine, the patient was screened and assessed by the RHU physician at the school. When asked the guardian (uncle) denied history of fever, illness, and maintenance medication during assessment. On April 3, 2016 patient developed diarrhea and fever, he was seen and examined the next day at the Bagac Community Medicare Hospital and was diagnosed to have amoebiasis. Patient was sent home with medications. On April 9, the patient was seen and admitted at the Isaac Catalina Medical Center after experiencing difficulty of breathing, fever, and cough. He was initially diagnosed with pneumonia, severe; congenital heart disease in Congestive Heart Failure, and electrolyte imbalance. April 10, the patient was referred and transferred to Bataan General Hospital. April 11, patient had a cardiac arrest and was eventually pronounced dead. The immediate cause of death was pulmonary edema with the following underlying causes: congenital heart disease, Acute Gastroenteritis with moderate dehydration. The case was presented to the National Adverse Event Following Immunization Committee (NAEFIC) last April 21, 2016 to assess the findings. Their conclusion is consistent with the hospital findings. The dengue vaccination is coincidental. According to NAEFIC, congenital heart disease is not an exclusion criterion for vaccination. The Philippines reported more than 200,000 dengue cases last year and nearly 600 deaths. As of April 9, 2016, a total of 33, 658 suspected dengue cases were reported nationwide. The Philippines has the highest incidence of dengue and ranks number 1 in the Western Pacific Region from 2013 to 2015.